​Update the look of your home! Replacing the siding on your house is a great way to add the extra curb appeal you have been looking for. The steel siding products from Lueck's are durable. These products withstand severe weather changes without panel distortion or breakage. Steel siding is also attractive because these products provide a clean and distinctive look that lasts. You will never have to paint again! Both residential and commercial installations are available. We also offer unique accessory trimmings options with your siding purchase. Steel siding is installed with a fullback insulation system that will add support and extra warmth to your siding. Stop in to see our showroom with a display of all colors available! Vinyl Siding is great inexpensive way to enhance the appearance of your home! 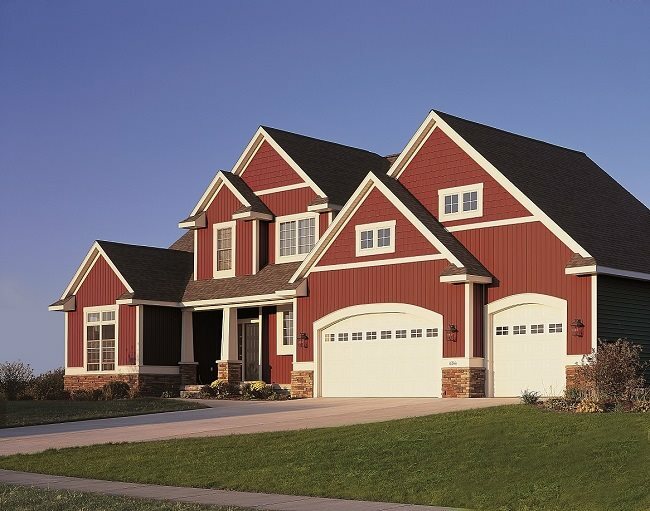 Vinyl siding is unique because paint and stain are never needed. This siding is an ideal choice that will add beauty and durability to your home. Vinyl siding is tested for weathering and rigidity and also undergoes a gloss test and oil can test. Vinyl siding is durable in strong winds and will remain on a house in wind speeds of up to 195 mph. 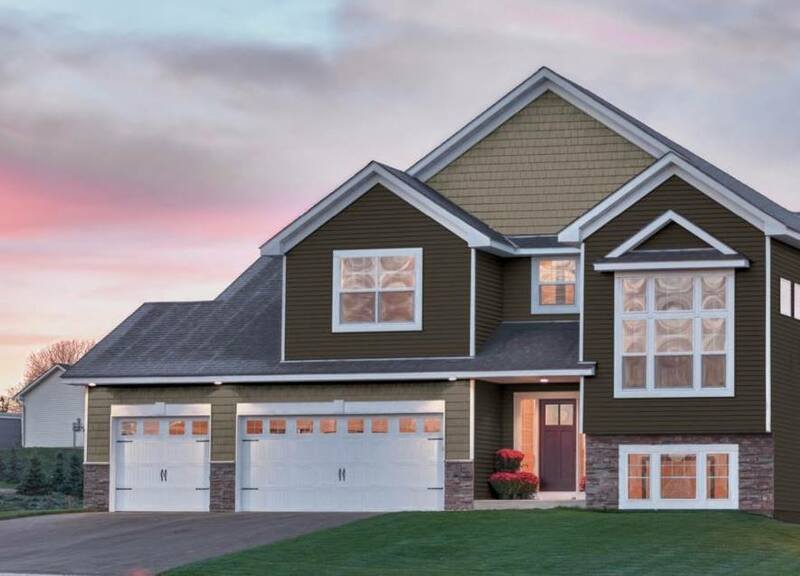 Vinyl siding is installed with a Therm-wall insulation system that will increase rigidity to your siding. Stop in to see our showroom with a display of all colors available! Lueck's Home Improvements offers a full line of Soffit and Fascia to compliment the look of your house! With many options available, you can coordinate all the trim and accent colors!